Alpin Rentals specialises in luxury apartment houses, apart-hotels and chalet rentals. We provide over 200 beautiful luxury apartments and chalets . In the apart-hotels o​u​r guests benefit not only from​ ​hotel services, such as housekeeping, room service and a ​front office and ​a ​breakfast room​. We ​offer ​you ​the perfect ​opportunity to feel at home ​in surroundings which are laid out to the high​est​ standard​s​ ​in both ​furniture and equippment that you ​have come to ​expect in your home away from home in the alps.  Our properties are located in Kaprun, Zell am See, Saalbach and Leogang. They are recognized for their authentic Alpine charme, offer excellent service, and include amenities such as complimentary high speed internet and the “Alpin Gold Card,” a discount card that provides access to special deals in the region. All of our rentals have access to great athletic sports- and wellness facilities, offer exclusive shopping, and feature excellent dining options with regional and international cuisine. They are located in world-renowned Alpine ski resorts with amazing skiing, crystal-clear lakes and beautiful glacier views.